Home → News → Waste Coffee Grounds – The Next Sustainable Biofuel Source? Waste Coffee Grounds – The Next Sustainable Biofuel Source? You can now make biofuel from coffee. According to a new report, leftover coffee grounds can be used to create fuel. 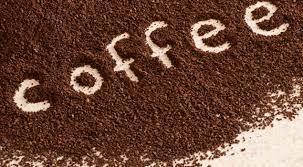 Every day a coffee shop will have around 10kg of coffee grounds leftover. This could be enough to produce almost 2 litres of biofuel from coffee. All kinds of coffee can be used according to the report that was published by Bath University. Arabica, Robusta, decaffeinated and caffeinated are just some of the 20 types of coffee researchers tried and successfully formed biofuel from coffee.They were all found to be suitable to be used as biofuel since their composition is very similar. Coffee shops may be able to produce enough biofuel from coffee to run their own private vehicle fleet. The used coffee grinds will need to be treated in a biodiesel production area, but the coffee shop vehicles could make those trips. Leftover coffee grounds are being used to create biomass and biodiesel at bio-bean, a London based company. The ACS Journal Energy & Fuels published the results of the study. Approximately 20% of leftover ground coffee can be used for fuel and it is estimated that 8 million tonnes of it are used every year. This comes from the research at Bath University from Dr Chris Chuck. He first hypothesised that biofuel could be created from coffee as it has similar properties to ingredients used to make biofuel now. However, the main difference is that the coffee is a waste product; the others are grown especially to create biofuel. Using the waste coffee, it is taking biofuel to the next level. There is also the fact that many coffee beans are discarded in production as they don’t meet product standards. If these beans are collected instead of being thrown away then coffee has the potential to become a leading fuel resource. These are the words of one of the authors of the research, Ph.D. student; Rhodri Jenkins.